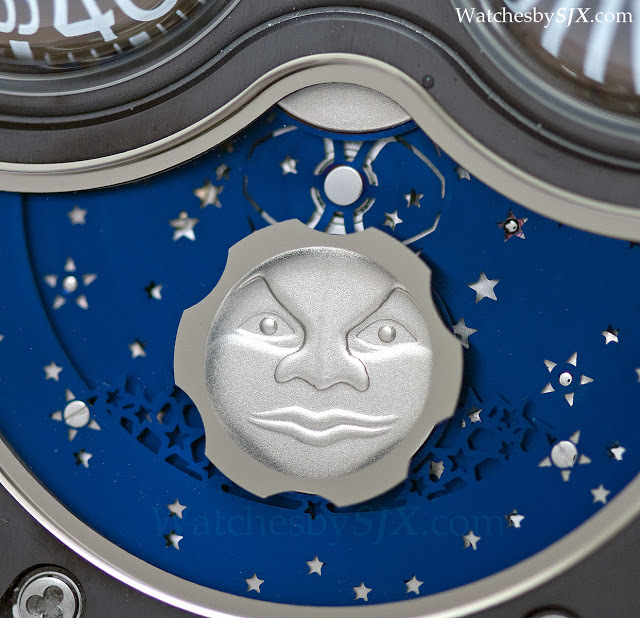 Yesterday Max Busser unveiled the Moonmachine, the latest variant of the HM3. 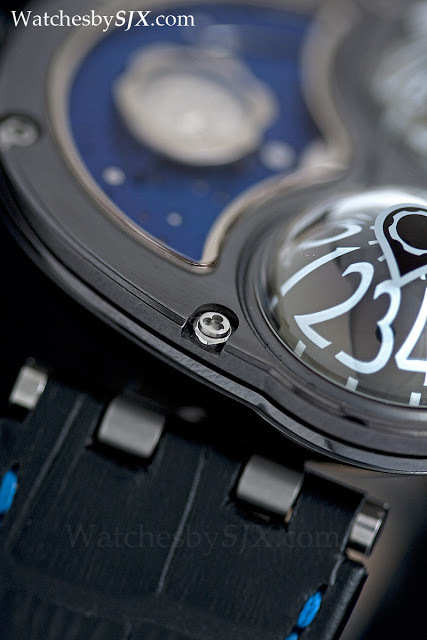 Based on the HM3 Frog, the Moonmachine was conceived by Stepan Sarpaneva. 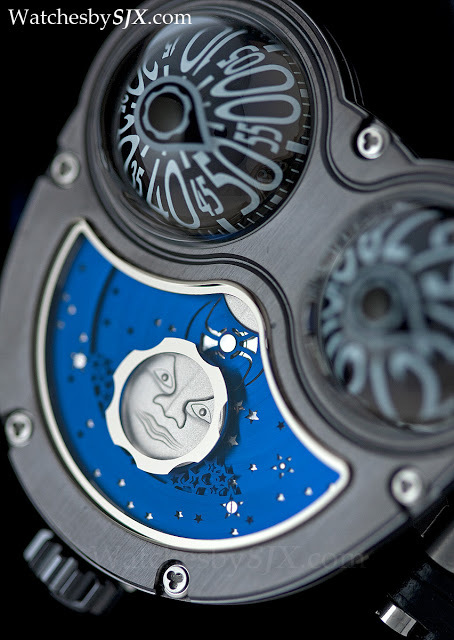 Taking the place of the date on the HM3 is Sarpaneva’s recognisable moonphase display against a background of stars. 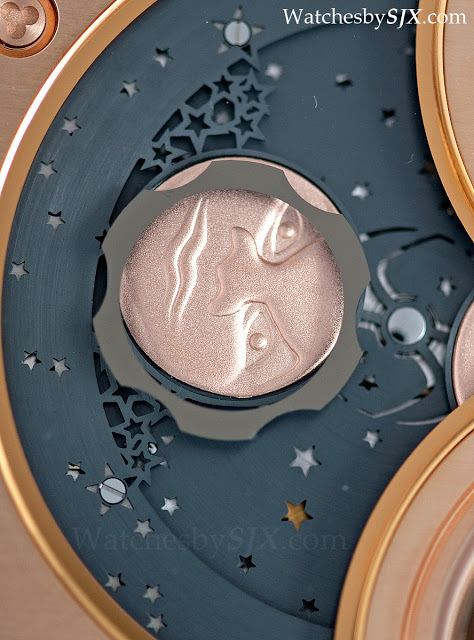 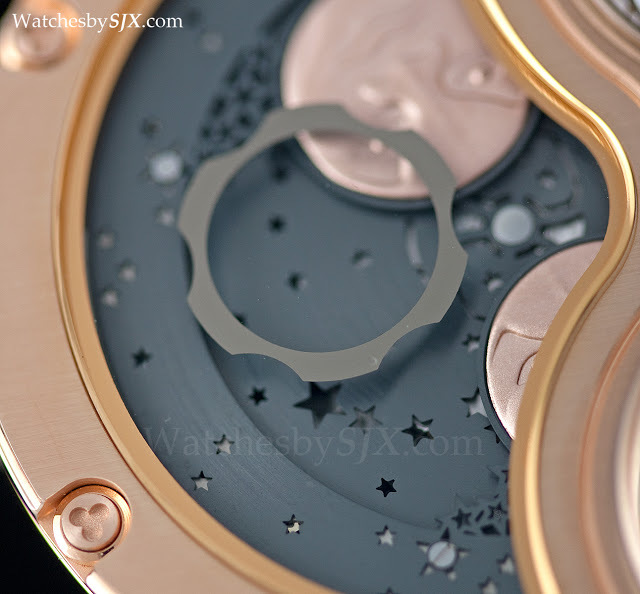 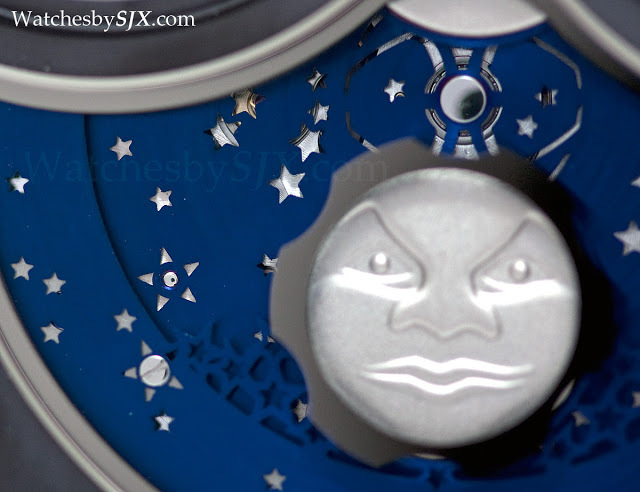 Below the moonphase sits a mystery rotor similarly decorated with stars. 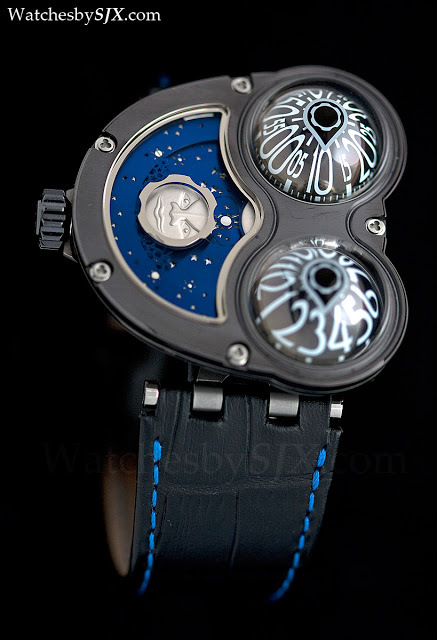 My favourite version of the Moonmachine is the black titanium with an electric blue moon disc and rotor. 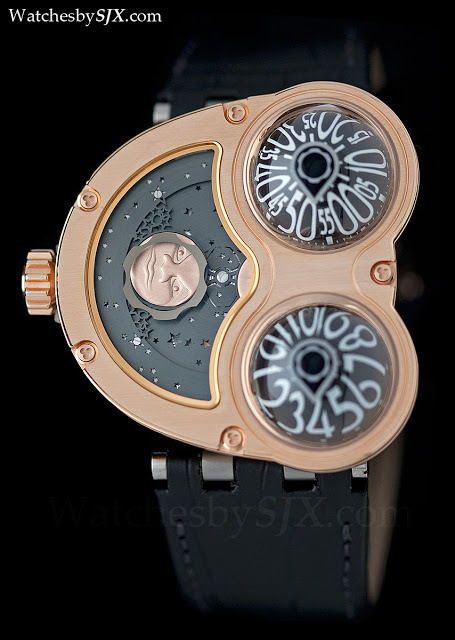 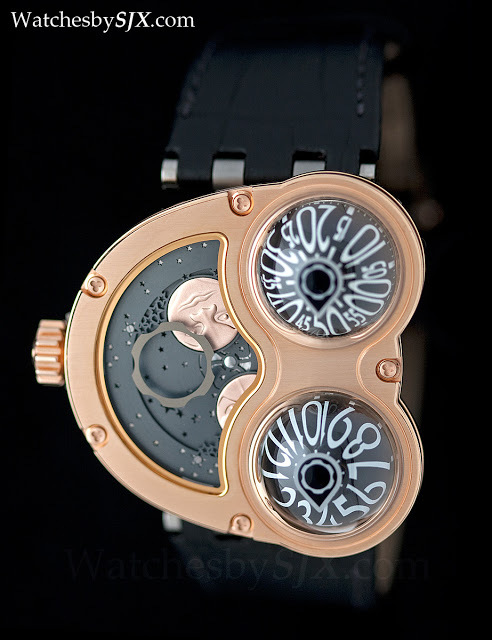 It is also available in red gold with a grey moon disc and rotor. 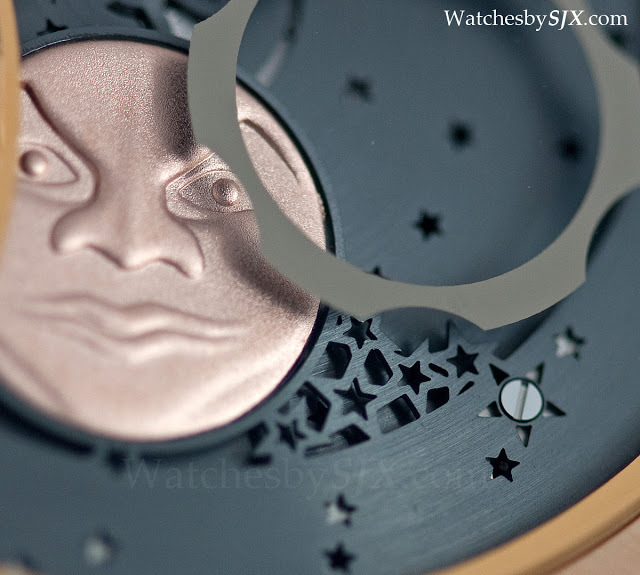 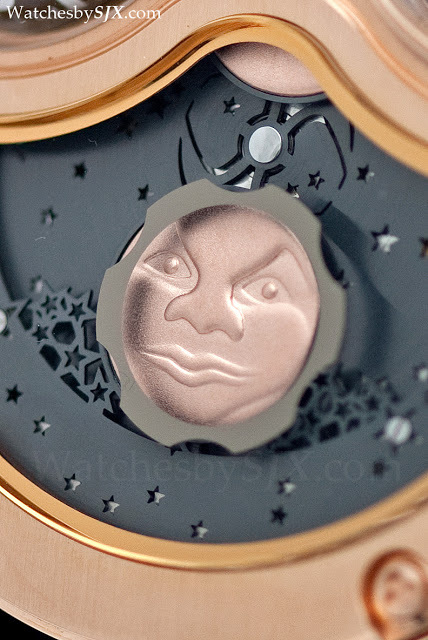 The moon face is dramatic, almost comically so. 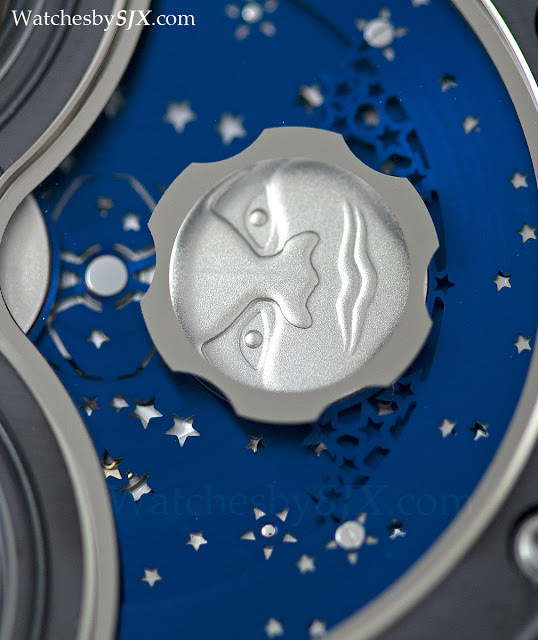 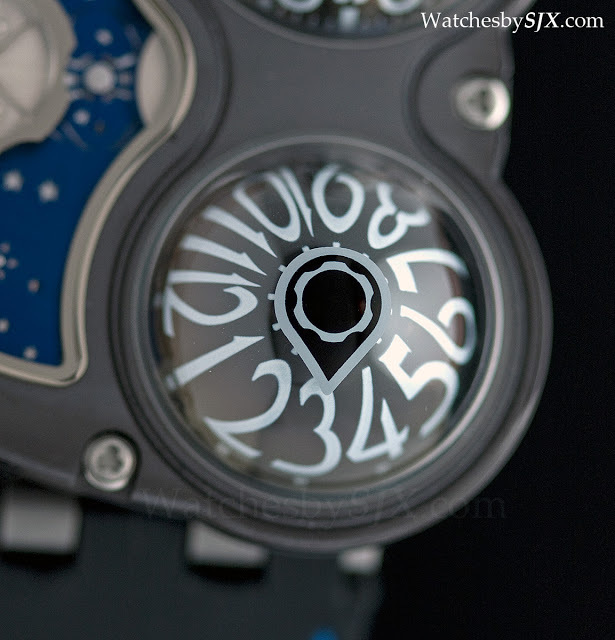 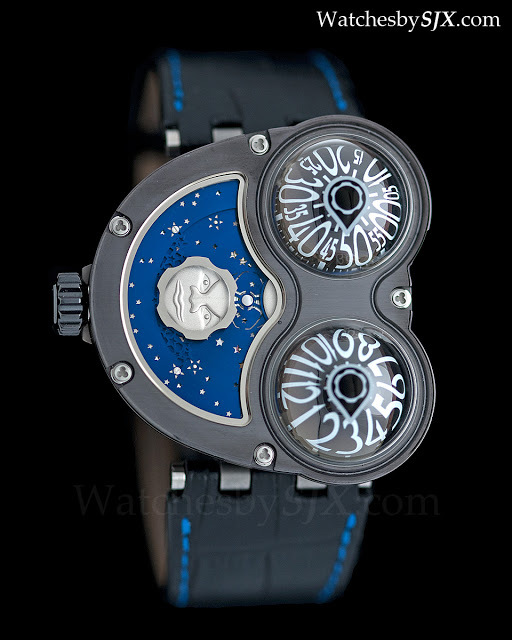 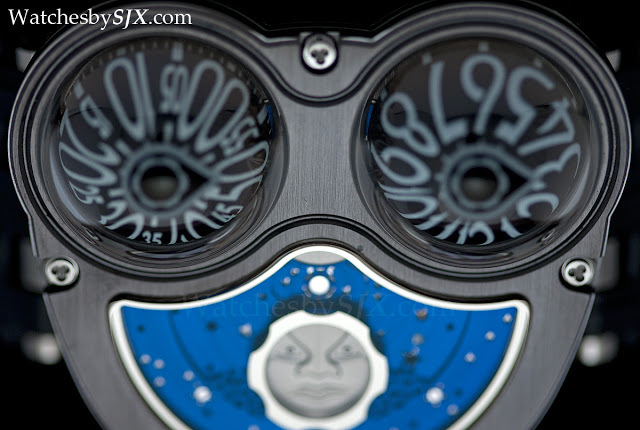 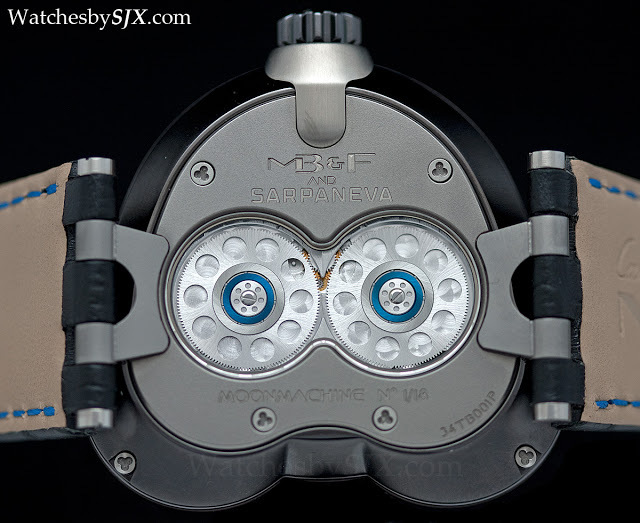 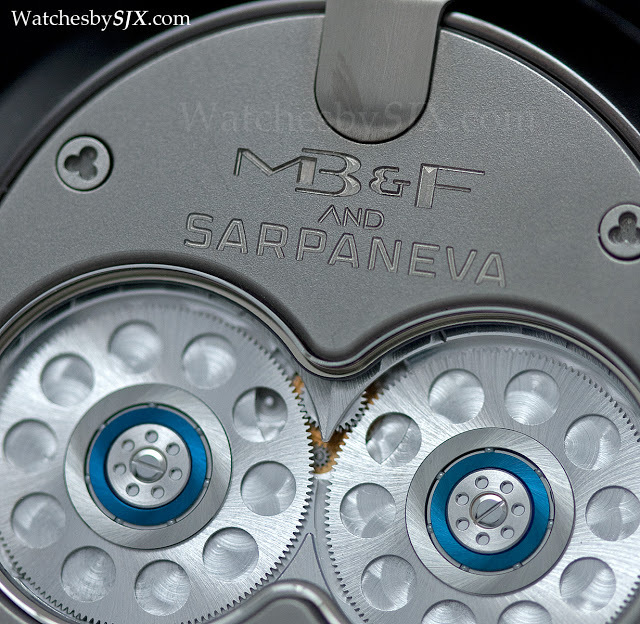 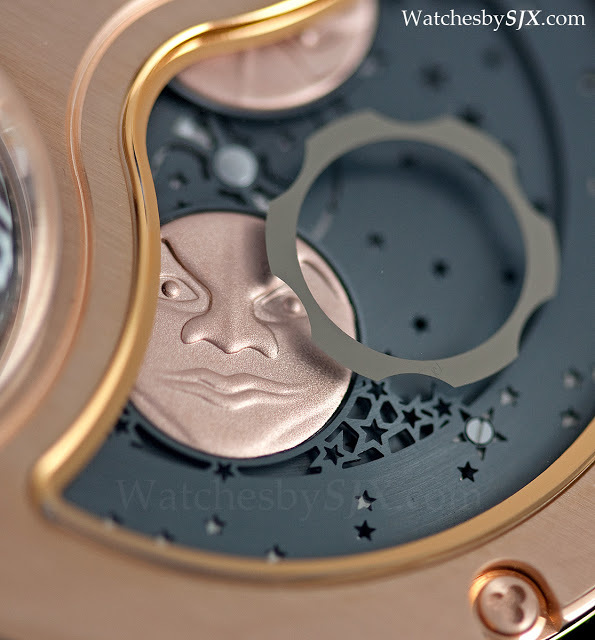 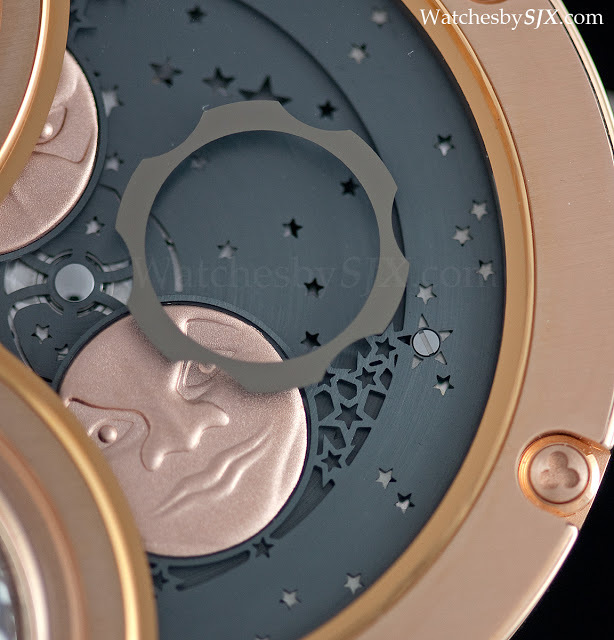 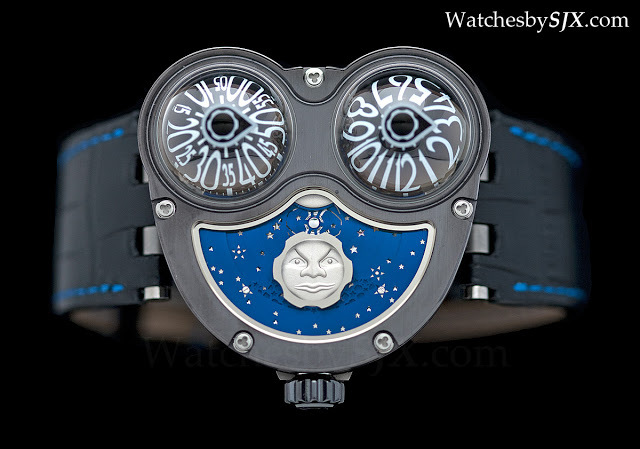 Though it is identical to the moon on Sarpaneva’s round wristwatches, the expression on the is far more pronounced here due to the form of the HM3 case. 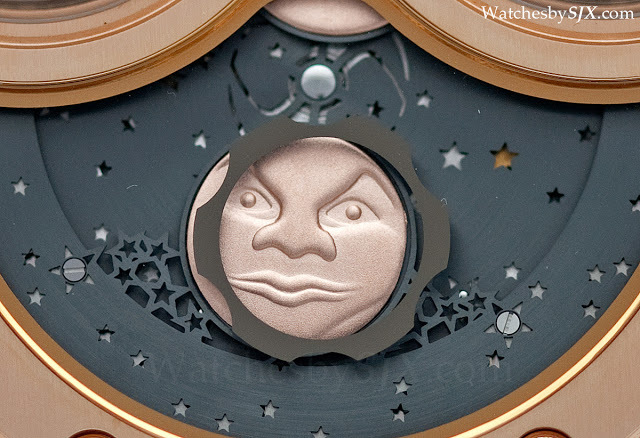 Intriguingly the expression of the moon face seems to change, depending on the angle at which it is viewed and the resulting shadows on the face. 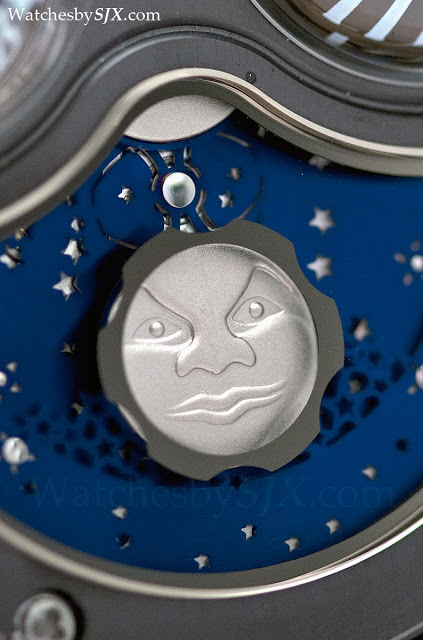 The effect is subtle, and it ranges from amused to displeased.